Honda has sprung a surprise with the all-new 2018 Amaze. The new compact sedan, will be India’s first affordable car to have a CVT automatic gearbox on its diesel variants. The petrol engine will also offer a CVT automatic option. This makes the all-new 2018 Amaze the second compact sedan to offer manual and automatic gearboxes on both petrol and diesel engines. The Honda Amaze CVTs are likely to be positioned as more refined alternatives to the Maruti Dzire, which uses AMTs on its automatic variants. AMTs are known to be the jerkiest among automatic gearboxes, and CVTs – the most refined. The 2018 Amaze will soon be launched in India, and is based on an all-new platform. 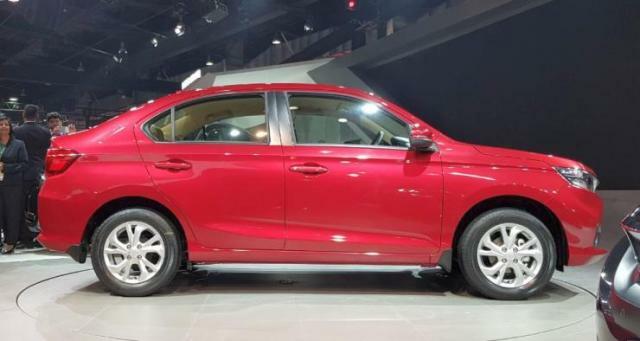 Designed in Thailand, the 2018 Amaze gets brand new looks with a coupe-like plunging roofline at the rear. At the front, the car derives inspiration from the Honda Civic. Overall, the new car seems taller than the outgoing version. Also, interiors on the new car are all-new, and a step up in terms of premium-ness. Honda will also offer a new touchscreen infotainment system on the 2018 Amaze, bringing it at par with the new Maruti Dzire. 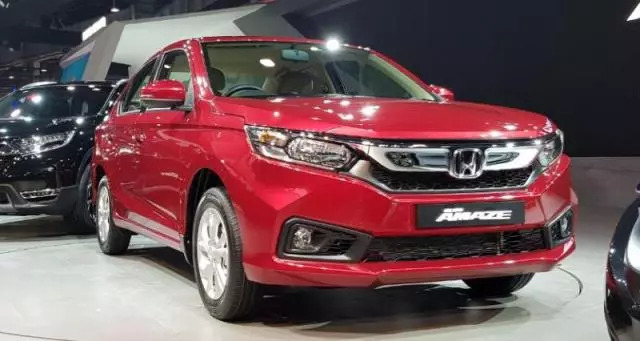 While the CVT automatic transmissions on the petrol and diesel engines are key mechanical changes on the new Amaze, the car will continue to operate with the 1.2 liter i-VTEC petrol and 1.5 liter i-DTEC turbo diesel motors. The petrol unit makes 87 Bhp-110 Nm, and gets a 5 speed manual gearbox as standard while the diesel makes 98.6 Bhp-200 Nm, and is likely to borrow the 6 speed manual gearbox from the Honda City/Jazz. The new car will offer twin airbags and ABS as standard safety features. Prices are likely to start from Rs. 5.5 lakhs. The car will be built in India with a heavy amount of localization to keep prices affordable, and service costs low.